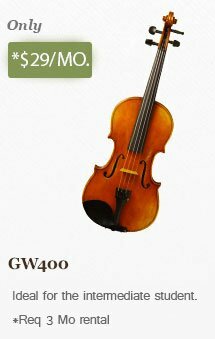 Violin, Viola, and Cello cases from high quality manufacturers. Come in or contact us in Mountainview to find out more about protective cases we carry. We have a large selection of cases.